The Lowell Women’s Week Public Art Committee organizes and implements the annual Lowell Women’s Week Public Art Project. This year is the 23rd anniversary of Lowell Women’s Week and our theme is Nevertheless, We Persist: Moving Forward Together. This year’s theme reflects the spirit of solidarity that we witnessed throughout 2017, as the rights of women and minorities were jeopardized time and again. In response to this threat, we saw a nation, of all genders, races, religions and socio-economic classes, rise together and respond in solidarity to protect each other’s rights. Our public art project this year calls for displays that reflect this spirit of solidarity. 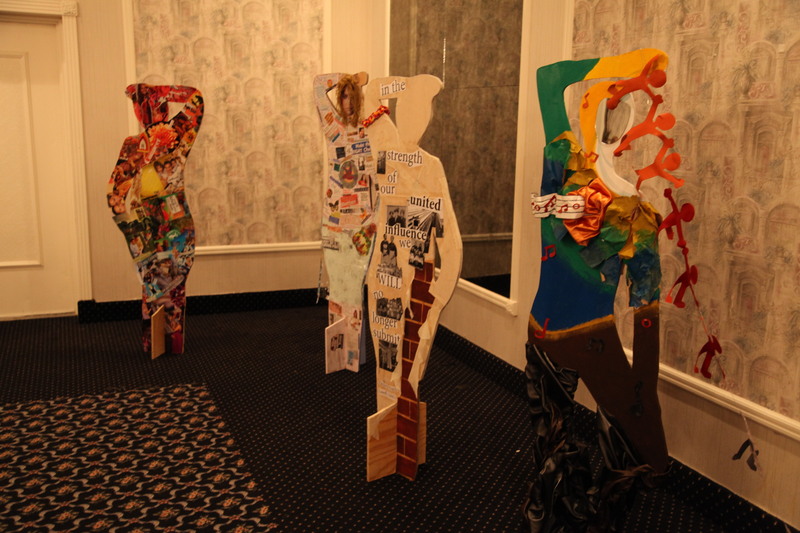 Join the Public Art Committee, at Girls Inc., for an afternoon of community art to create your own original submission for the public art display, at the Annual Lowell Women’s Week Breakfast. Our hope is to compile a visual display that captures the spirit of the Lowell’s rich history as a source of persistence and revolution, from the days of the mills and labor unions through the present. You can join Girl’s inc and create a display on Sunday, February 25, 2018 from 2:00 to 5:00 pm or feel free to create your own display using a large poster board. Pictures, poems, and other visual combinations can be used to capture the spirit of Persistence and Moving Forward Together.